Learn the secrets to a better night’s sleep. 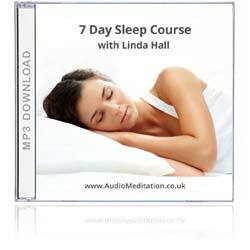 This ten-day micro-learning course with Linda Hall shows you how to retrain your sleeping patterns to help you fall asleep effortlessly and deeply. Each short, 15 minute session is easy-to-digest, deeply relaxing, and designed to be listened to at bedtime, combining gentle coaching with guided meditation instruction. Suitable if you suffer from insomnia or experience difficulty sleeping. 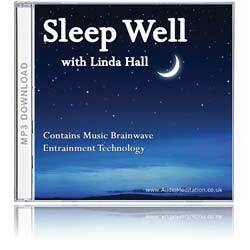 Contains soothing Delta brainwave entrainment music to help you drift off to sleep naturally. This powerful sleep audio shows you how to fall asleep using natural sleep aids, combining self-hypnosis, breathing and Brainwave Entrainment Music. Meditation for sleep is a proven way to help with chronic sleep problems, and gently teaches you how to sleep better.